If you are concerned that a family member has dementia, the first step is to arrange for them to see a GP. There is a wide range of support available in Peterborough for people with dementia, including advocacy, dementia advisers, dementia cafés, activities, information and peer support. Vivacity can help you live a healthier and more active life if you have longstanding health conditions including dementia. More information can be found on the Vivacity website. A guide to the support people should get from local services in England if they or someone they know have been diagnosed with dementia. Whilst not a solution for everyone, technology, such as telecare or apps, can work in a variety of ways to empower and support independence, manage risks, improve health and be enjoyable. The overarching principle of assistive technology must ensure that it is in the individual's best interests. 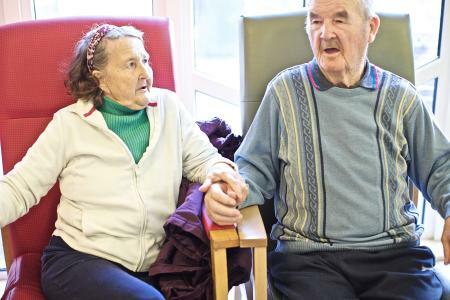 The Alzheimer's Society publish assistive technology sheets that outline the main issues facing different organisations, and recommend technology which could help. Their web pages on assistive technology also have lots more information.